Here comes the bride all dressed in…green?!?! 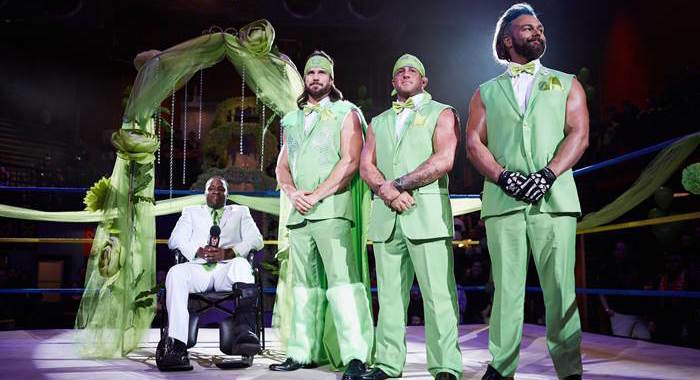 Johnny Mundo and Taya tie the knot in the newest episode of “Lucha Underground.” It would not be a lucha celebration without a few surprises so buckle up. XO Lishus takes on Jack Evans in a “No Mas” Match and Drago battles “The Savage” Jake Strong in the newest episode of “Lucha Underground” this Wednesday, August 29th at 8:00pm ET on El Rey Network.